The South Bend Cubs announced Thursday that their player development contract with the Chicago Cubs has been extended through the 2020 season. That represents a two-year extension of the four-year PDC the two clubs signed in September 2014, when the South Bend team was still known as the Silver Hawks. 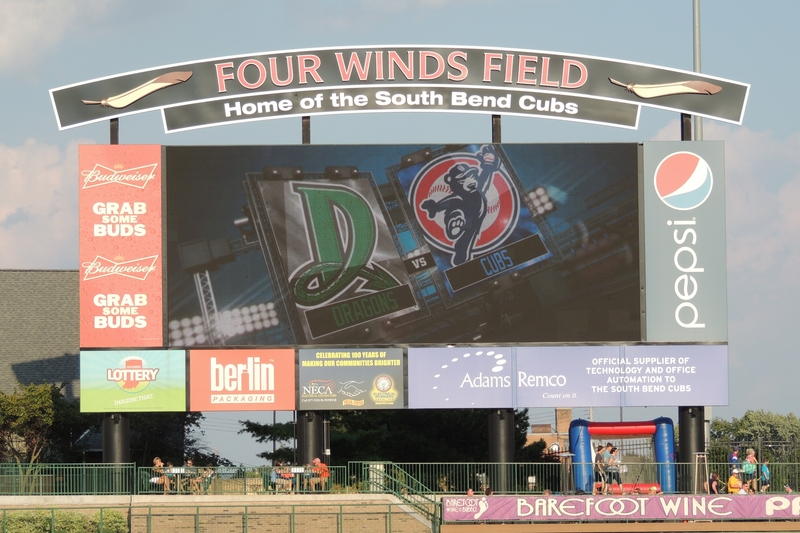 There’s no doubt changing their MLB affiliate from the Arizona Diamondbacks to the Cubs has helped South Bend draw fans to Four Winds Field. In 2014 — the last season South Bend was affiliated with the Diamondbacks — an average of 3,751 fans attended 69 home games, for a season attendance of 258,836. In 2015 — the first season of South Bend’s affiliation with the Cubs — an average of 5,039 fans attended 69 home games, for a season attendance of 347,678. Through the first half of the current season, the South Bend Cubs have averaged 4,551 fans over 35 home games, for a season attendance of 159,289. The average attendance currently is down from last year, but that is typical for Midwest League teams at this point of the season, as clubs in this region have to deal with cold and rainy weather in April and May, while school is still in session, too. It’s also worth noting that only four years ago, the Silver Hawks drew only 189,575 fans over the course of the entire 2012 season — only 30,286 fans more than the South Bend club has drawn through the first half of this season. The South Bend Cubs open the second half of the Midwest League season on the road tonight against the Dayton Dragons, a team that has a 1,154-game sellout streak dating back to the start of the 2000 season. On Tuesday, South Bend Cubs outfielder Eloy Jimenez was named the Top Star of the Midwest League All-Star Game. You can read about his All-Star exploits and see photos of him and some other Midwest League All-Star players here. This entry was posted in 2016 All-Star Game, Dayton Dragons, Midwest League, South Bend Silver Hawks. Bookmark the permalink.